Use our attorney-drafted Articles of Incorporation form to create a legally valid corporation in your state. Protect your company's status by proving it's a separate legal entity. The Definition: What is an Articles of Incorporation? A Certificate of Incorporation is often used when a company wants to be legally recognized as a business entity to minimize taxes and gain liability protection. 2. The Definition: What is an Articles of Incorporation? An Articles of Incorporation, also commonly known as a Certificate of Incorporation is a set of formal documents that contain basic information about a company being created. Because each state has its own requirements, this document is usually filed with the Secretary of State. Once the Articles are filed, the company becomes a registered business entity for legal and tax purposes in the state. The sample articles of incorporation below details the establishment of the company, ‘ABC, Inc.’ The document contains basic information about ABC, Inc., such as the principal place of business, agent, purpose, authorized stock, incorporator, and duration of the company. 3. Should I Incorporate my Business? Below are the major pros and cons of incorporating a business. Make sure that you discuss these advantages and disadvantages with your legal or financial adviser before making your decision. If you want to take advantage of a state’s tax and legal benefits, you should file a Certificate of Incorporation with that Secretary of State when creating your business. For example, about half of public corporations choose to incorporate in Delaware and Nevada to save taxes. Many states require companies to file “foreign registration” documents if they are an out-of-state entity incorporated elsewhere but doing business in their state. A New York Times article highlights how Delaware thrives as a corporate tax haven for nearly half of all public corporations in America. Small businesses, however, may not actually reap the benefits of incorporating in Delaware according to one Entrepreneur.com article. Independent of where you incorporate, companies may also need to create corporate bylaws to formalize the incorporation process. Corporate bylaws establish the everyday rules and guidelines of running a business and not mixing your personal debts and assets with those of your business. If you do not use an Articles of Incorporation, the default assumption is that you are a sole proprietor. As an unincorporated business, the law treats you and your business as one entity. For tax purposes, the IRS allows you to file one form for yourself and your company. In the worst case, a creditor can go after both your personal and company assets for a business debt. Here are some of the possible consequences that could be prevented by properly incorporating your business. In contrast, if you follow proper procedures, a formally incorporated business legally separates you from your company. The owner cannot be held personally liable for company debts, obligations, or risks. The increased liability protection is particularly useful if your business has employees or if your products or services put you at risk of being sued by the general public. Retail businesses, in danger of lawsuits for a slip and fall or other small mishaps, should consider purchasing general business liability insurance to cover any accidents. Forbes similarly covers the different types of insurance small business owners should consider when setting up shop. An Articles of Incorporation is a set of formal documents that contain basic information about a company being created. Because each state has its own requirements, the document is usually filed with the Secretary of State. Once they are filed, the company becomes a registered business entity for legal and tax purposes in the state. What should the corporation name include? The corporation name should be the full name of the corporation with a corporate suffix at the end (i.e. Co., Corp., Inc., Ltd.). Check your Secretary of State to make sure your company name is still available to prevent your filing from being rejected. Some states allow you to check online whether your company name is already taken and registered. What is the corporation's principal place of business? Include the full address and location of where the company conducts its primary operations and business. What should be included for the purpose of incorporation? Many companies use an open-ended and broad purpose (i.e. any lawful activity) in case they expand businesses or operations. Who is the registered agent? The registered agent is the person or business entity who receives legal notices and paperwork for the corporation. For Connecticut, the resident agent can be a natural person who is a Connecticut resident or a Connecticut corporation, LLC, LLP, or statutory trust. Or, if the agent is not a Connecticut domestic entity then it must be an entity that has procured a certificate of authority to transact business in CT.
What to include if the registered agent is an individual? If the resident agent is an individual, then include the individual’s residence address. The incorporator is the person who prepares and signs the Articles of Incorporation and files it with the Secretary of State. The director is the person(s) who will oversee the overall affairs of the company. Including a director is optional for Connecticut. The officers are the person(s) who will manage daily business affairs (i.e. President, VP, Secretary) for the company. Authorized capital is the amount of stock that the company will issue and determines the worth of the company when incorporated. Include information like the total number of authorized shares, type of stock, and the par value, if any. For Connecticut, if the corporation has more than one class of shares, it must designate each class and the number of shares authorized within each class. 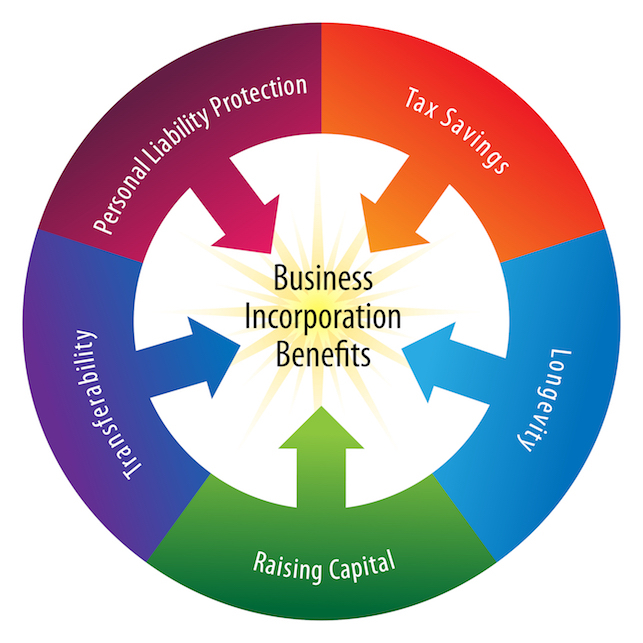 If the Corporation elects to be a Benefit Corporation, then in addition to any other stated purposes for which the corporation is formed, the corporation will also have the purpose to create a general public benefit as defined in the Connecticut Benefit Corporation Act. If the corporation also seeks to have one or more specific public benefit(s) in addition to the general public benefit, then the corporation specify what public benefit(s) in the articles of incorporation.